my name is darla. accessory designer by trade, craftsman and handworker by choice. pursuing a life of creative fulfillment outside the dirge of corporate design. this is a place for me to do what i want without worrying about margins, selling, price points, or line plans. making heirlooms, not mass market products. unrestricted creativity. it's refreshing. these are my field notes, where i keep track of what i'm working on, and share what little i know with anyone that's interested. feel free to drop me a line. a note on my "portrait". 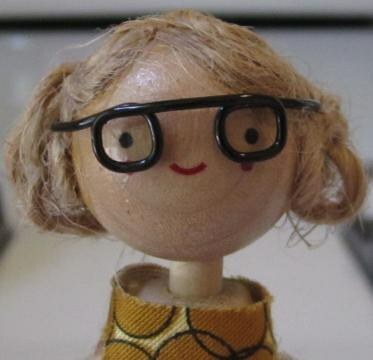 this amazing clothespin doll was created by the talented sarah nueburger at the small object. she sold a DIY kit a few years ago that i customized and take photos of all over the world.